One of my earliest posts on my blog was about the need to repeal the tax on military pensions. Unfortunately,..
John Leopold has decided that, given problems with affordable housing in the county, that the best solution is to make.. Pretty predictable, but when compared to the Governor’s slots gambit utterly banal and amateurish. The economic promise for Maryland of..
Church leaders press for an equitable BRAC reads the headline. Elected officials will be asked to subscribe to a set..
Place this in the “I told you so” file: No state funding is available to build road, bus and parking..
We’ve chronicled the rather pathetic wish-upon-a-star nature of the ongoing Base Realignment and Closing (BRAC) action (I suppose we really.. I called bullhockey on the whole BRAC porkfest some time ago. Historically, communities have gained nowhere near the projections and..
I’ve said on several occasions (like here and here) that the Dixon administration’s focus on BRAC is simply misguided if.. 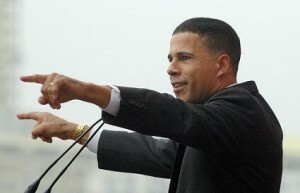 The Baltimore Sun reports that Lieutenant Governor Anthony Brown is encouraging those jurisdictions seeking to belly up to the BRAC..
From the Baltimore Sun: Looking to attract a share of the defense workers expected to stream into Maryland in the..
Baltimore Mayor Sheila Dixon is trying to jump on the Base Realignment and Closure (BRAC) gravy train. Mayor Sheila Dixon..